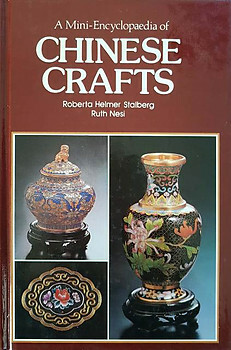 This is an introduction to the methods used to create the vast wealth of Chinese crafts that have commanded world attention from the earliest times. In addition, there is an explanation of the decorative symbolism used. With many colour and black and white pictures. 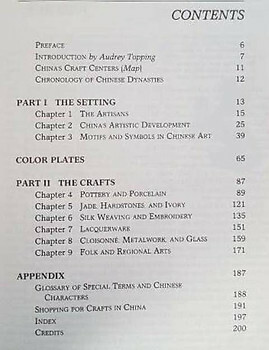 200 pages For further details, please see the scanned contents page. Weight 0.7 kg. Post free within Malaysia. Condition: Very good. Hardcover. The cover has minimal wear. The inside front and back covers and opposite end papers have medium tanning The binding is tight, the text is clear and there is minimal tanning throughout.